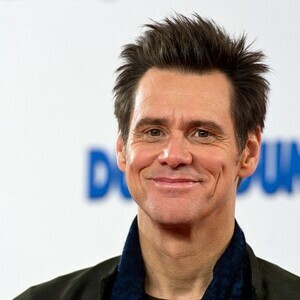 Jim Carrey net worth: Jim Carrey is a Canadian-American actor, comedian and producer who has a net worth of $150 million. Jim Carrey was born and raised in Ontario, Canada. He got his professional start doing stand-up in Toronto comedy clubs. He later moved to Los Angeles, where Rodney Dangerfield saw him perform at The Comedy Store and signed him as an opening act. Carrey's first taste of stardom came in 1990 on the Wayans brothers' sketch comedy show In Living Color, where he was best known for his role as the masochistic and accident-prone Fire Marshal Bill. Carrey remained on In Living Color until it ended in 1995, but shortly before its cancellation, his major movie debut "Ace Ventura: Pet Detective" hit theaters. The movie was a smash hit that made him a household name overnight. The same year, he starred in The Mask and Dumb and Dumber, both of which were box-office hits. For his next film, The Cable Guy, he earned $20 million, setting a salary record among comic actors. Carrey's other notable comedic vehicles include Liar, Liar, Bruce Almighty, Me, Myself, and Irene, and Yes Man, though he has also appeared in a number of dramas and dramedies, including The Truman Show, Eternal Sunshine of the Spotless Mind, The Majestic, Man on the Moon, and the thriller The Number 23. Carrey has been married twice including to Lauren Holly and dated actress Jenny McCarthy but the two have broken up. 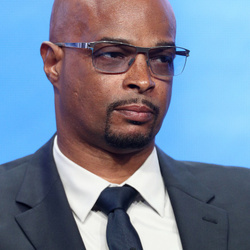 He has won more than 40 awards including Golden Globe Awards for Best Performance by an Actor in a Motion Picture for The Truman Show in 1999 and Man on the Moon in 2000. Carrey reprised his role in the 2014 movie Dumb and Dumber To and starred in the films Mr. Popper's Penguins and The Incredible Burt Wonderstone. He also authored the book How Roland Rolls in 2013.